And the names just get funnier and keep popping up! So sit down, I have a secret for you. You do NOT have to be everywhere. What you do need to do though, is try out everything. 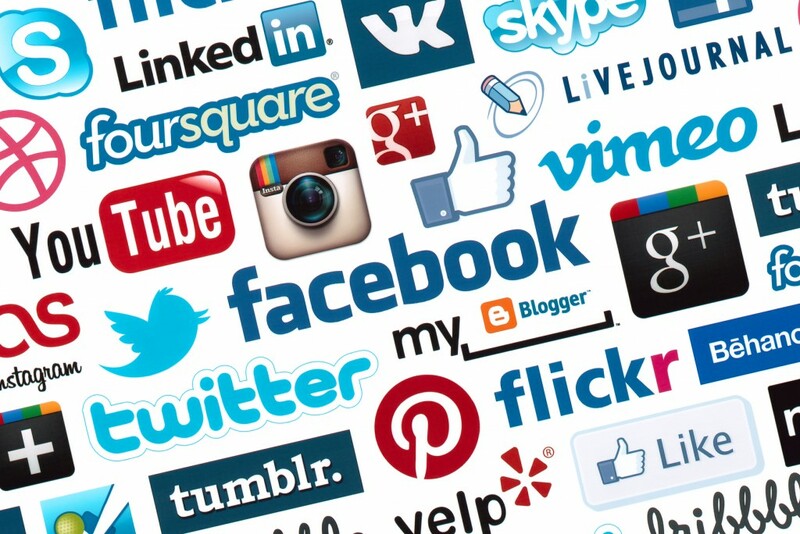 As a marketer or an entrepreneur handling the social presence of your startup, you should be able and willing to learn new tools and yes, spend the time necessary to see what platform fits your needs best and yields the best results. As Gary Vaynerchuk recently told me, he spends hours every day crawling the App Store. When an app keeps showing up in the top lists, he knows something is up with that app and he begins to learn how he can leverage it to better market his content. Now, that is Gary and we all know, no startup founder has spare hours in her day to crawl the App Store. Having said that, as someone looking to build a global business, it is your responsibility, assuming your goal is success, to invest the time to know the tools available to you. Automating the Process of ‘Being Everywhere’ is a No-No! We are all busy people and are therefore always looking to cut corners. Sorry to be the bearer of bad news, but effective marketing on the social web and “cutting corners” don’t get along. If you think you are going to write a post then publish it at the click of a button on Twitter, FB, G+, and elsewhere, you are sorely mistaken. 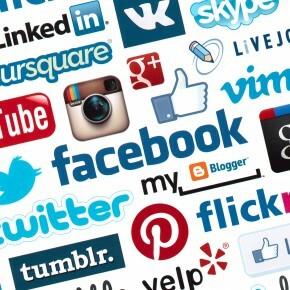 Each platform has its unique advantages and disadvantages. Hopefully you have different audiences in each place and most importantly, you have some people who follow you on more than one platform. 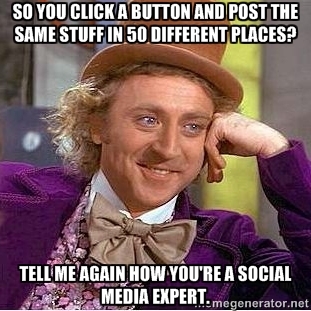 Sharing the same exact text across all platforms means those people will see the same thing repeatedly. That is not very good marketing, now is it? 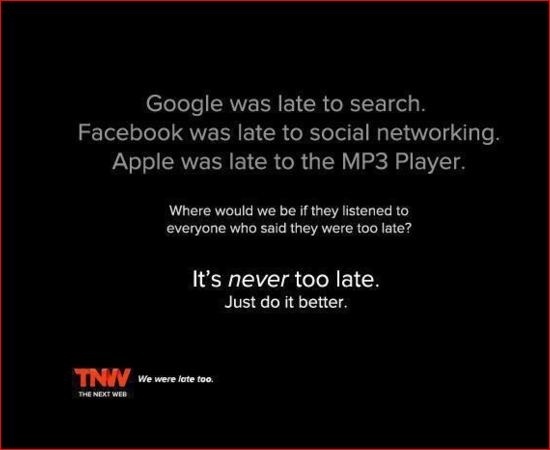 This one is pretty applicable to all things and not just marketing, but if you are one of those people who like to say “X is too late to the game.”, then just stop now. Google was late to search AND mobile. Facebook was late to social. Apple was late to mobile. Just stop. How does this apply to marketing? No platform should be on your ‘No-go’ list. If there is one person on that platform that could be your potential audience, you need to check it out and give it a chance. Now replace the word ‘Twitter’ above with the word ‘Google+’. Wait, before you close this tab, hear me out. Yes, Facebook is now dominating the landscape, but ignoring Google+ now, as a marketer, is just plain silly. But, more on that later. For now, just remember this, every social platform, by definition, has a chicken and egg situation. No users, no value. No value, users aren’t joining! This was true for Twitter and it Is true for Google+. Spend the time you are now dedicating to ridiculing the platform and invest in building an audience there. You will be surprised in the level of engagement there. Most importantly though, don’t dismiss any platform as a ghost town until you have spent extensive time building out your network there! Now let’s drill down a bit here… As I mentioned above, there are new apps and platforms coming out every day that you should know about. Having said that, as I write these words in the beginning of 2015, there are only a few, maybe a bit more than a few platforms you simply cannot ignore. Facebook, It’s not What you Think! Obviously Facebook is widely regarded as the leader of the social universe and that is primarily because it is. However, as a marketing platform, not to be confused with an advertising tool, Facebook is fundamentally flawed and some might say, broken! Answer this question: How many times have you received a Facebook message from a friend asking you, sorry, inviting you, to like his Facebook page. Why do people send these messages? 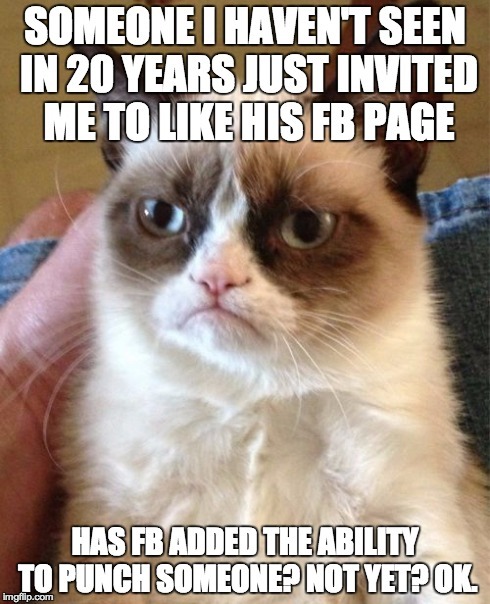 Simply put, because without spamming their friends, there is little to no way to get the word out about their new page. If I already like a page, I will see the posts on that page. If I do not, chances are I will not. Yes, you can share inspiring pictures of a view or inspirational quotes that are then shared onward, but for most startups/businesses, that is not exactly the type of content they are looking to distribute. Facebook has to build a better mechanism for business pages to increase their audience. Having said that, being as Facebook is the leading social platform, you cannot afford to ignore it. So yes, make sure you have a page and make sure it is updated daily. Would I invest hours building out my Facebook content strategy? Nope. Twitter is your Winning Ticket! 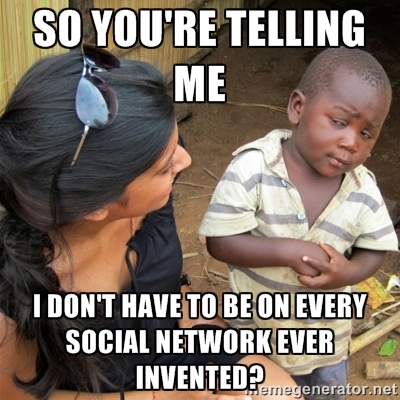 Listen, I am all too familiar with all the buzz words being thrown around by social media experts across the globe. The truth is, if you have good content, there is no better platform for that content to go viral then Twitter. There are endless examples of good content, whether a picture, a link, or a video, being tweeted by someone with a relatively low numbers of followers, going viral on Twitter. How do I explain the difference between Facebook and Twitter? Simple. The public Twitter feed lets anyone see anything. All it takes is one retweet and your tweet can go bonkers. Perhaps Facebook needs a public feed? Ok ok, are you done laughing at this title? Get it out of your system yet? Great, now hear me out. Google has been known to close some of its past social products, so many believe Google+ will follow in their footsteps. You know what? It might, but here is the thing. As I write these words, Google as a company, has made it very clear that it is putting all its eggs in one basket, the social basket, the Google+ basket. I am not going to convince you to spend time on Google+ by telling you how my posts get thousands of +1s and shares on a weekly basis because you will say that is just my audience. I will, however tell you that Google is basically saying to you, as a marketer, that you would have to be a fool to ignore Google+. Want to comment on Youtube? You need a Google+ account. Want to review an Android app? Google+. Not convinced? How about search? Do you spend money on SEO? Do you understand that search can drive you traffic? 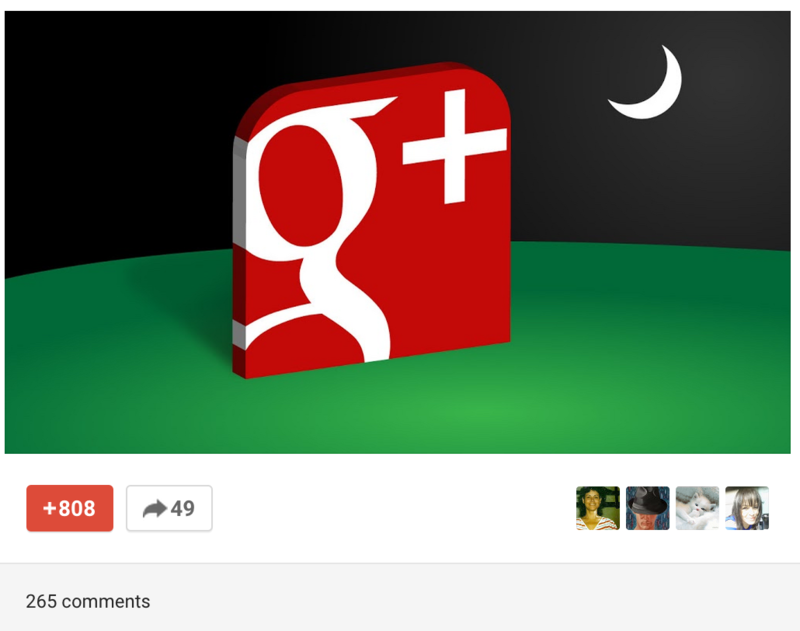 Great, because Google+ content will appear on top of organic search results. 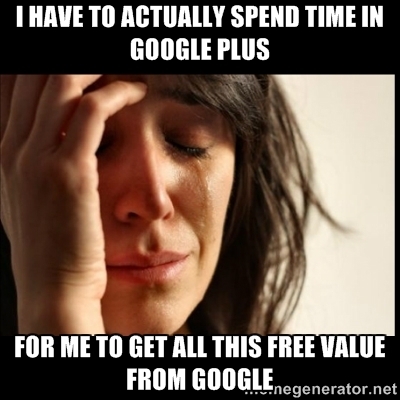 So ignoring Google+ means ignoring Youtube, Android, and search. Good idea? Don’t think so! Start with those three, and balance your time between sharing content there, listening to your audience, engaging users, and measuring the results. Once you have mastered that, then get your feet wet in Instagram, Pinterest, and yes, Snapchat isn’t such a bad idea, but for that, you are going to have to wait till I write that post..